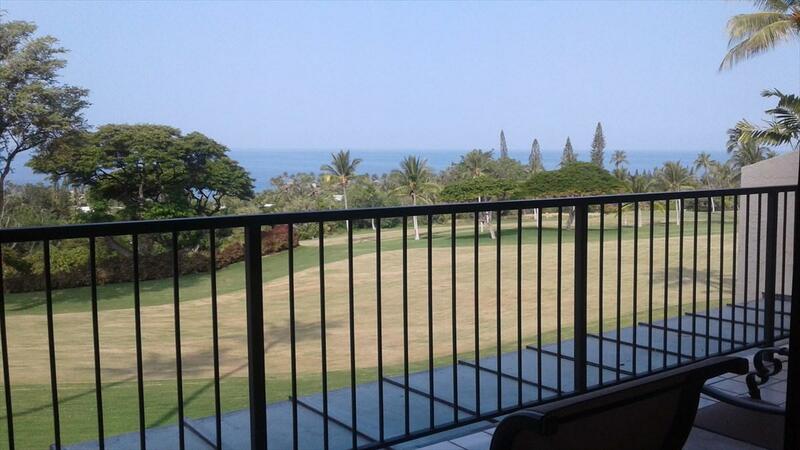 Country Club Villas is located in prestigious Keauhou.This luxury Unit 304 3/2.5. 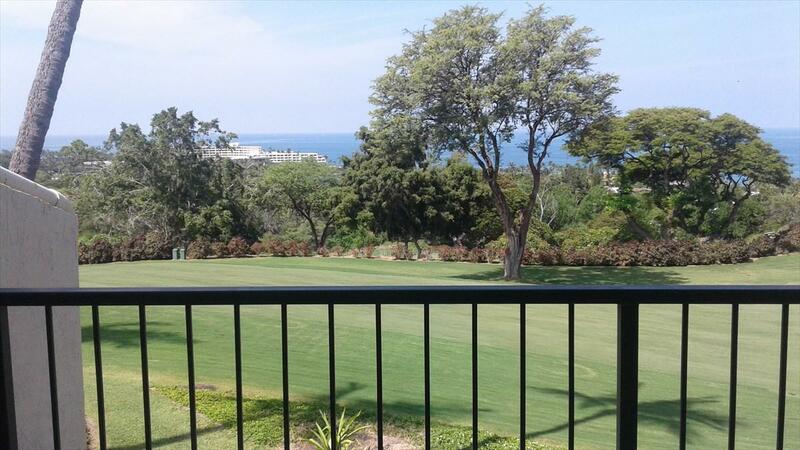 condo offers both golf and ocean views! This spacious 3 bedroom 2. 5 bath has vaulted ceilings so has excellent cross breeze of Mountain and Ocean. This elegant and updated suite comes well equipped with Internet access, TV, full Kitchen and all the accouterments of home. Enjoy Cal King bed in master and Queen bed in spare bedroom. Loft has 2 twin beds, Futon in closet and half bathroom upstairs.Unit offers plenty of sleeping accommodations. 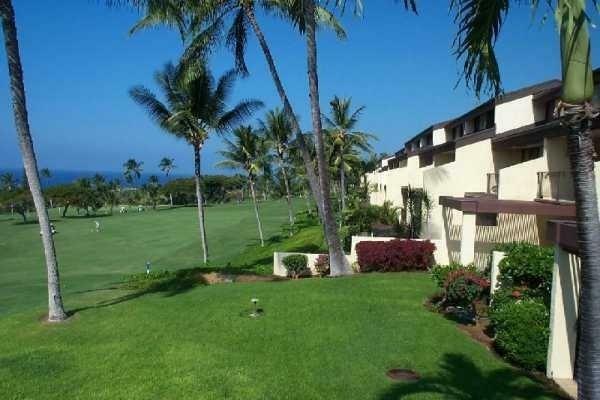 This luxury complex is located on the 18th hole fairway at Kona Country Club golf course. Complex offers 3 swimming pools, 3 Jacuzzi's, and 2 tennis/Pickle ball courts all on site. Condo is spacious with cross breeze of Mountain and Ocean. Relax on the over-sized Patio and watch the sunsets. Being on the 18th fairway it is a blast watching the golfers as well! Country Club Villas offers many on site amenities. 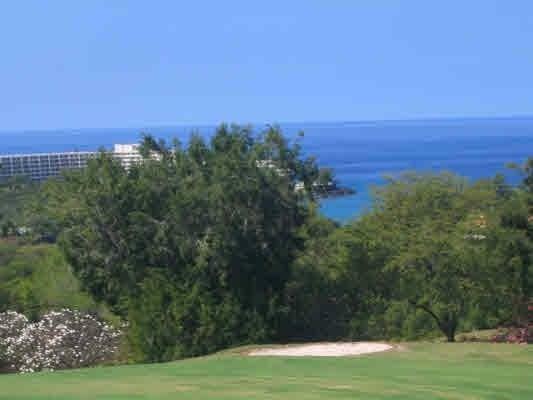 Within walking distance to one of the nicest and most popular renowned Keauhou Bay. This recreation area offers an almost endless array of ocean sports. Walk 5 minutes to Keauhou Shopping Center which has movie theater, grocery store, post office, restaurants and all kinds of food establishments. "H Bay is located just minutes away for great swimming and night diving. The world famous Kona Manta Ray night dive is a few blocks away in front of the Marriott. Listing courtesy of Whale Of A Time Realty.